The Eliot at Erie Station Licensed Home Care Agency is licensed by the New York State Department of Health. We value our staff members, and we’re committed to providing high-quality training to enhance and supplement their caregiving skills. Benefits are available after 3 months of employment and 20 work hours per week. The Eliot at Erie Station Licensed Home Care Agency is looking for dedicated, caring and reliable individuals to join our team. We are always accepting applications for RN’S, LPN’s, PCA’s and HHA’s. This is a NYS certified position. PCAs provide personal care and assist with housekeeping tasks for members of the community who live in their own homes. Duties include: assisting with bathing, toileting, light housekeeping, and cooking. 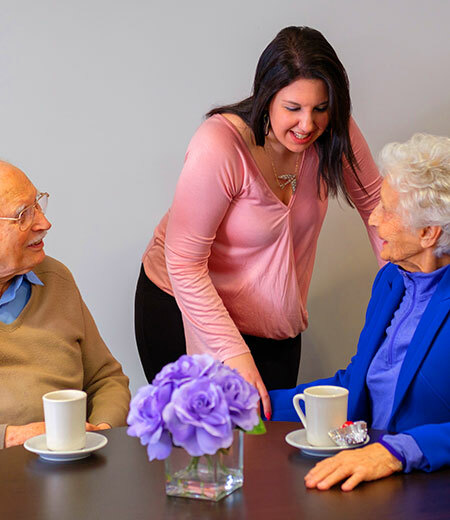 PCAs are required to follow the client’s care plan (developed by the Registered Nurse), maintain simple records, report any problems, and discuss observations with a nursing supervisor. This is a NYS certified position. HHAs provide clients with services and support in areas such as personal hygiene, grooming, transfers and range-of-motion exercises. HHAs may prepare special modified diets, take vital signs and change non-sterile dressings. They are required to follow the patient’s care plan (developed by the Registered Nurse), maintain simple records, report any problems and discuss observations with a nursing supervisor. Other duties may include light housekeeping duties. The Eliot is seeking RNs to provide services including nursing assessments, PRI screenings, UAS screenings and medication pours. Visits may be during the day, evening, nights weekends or holidays. Opportunities are available in counties we provide service for.